Famous for the popular Leon family car and a good number of sport utility vehicles, Seat is amongst the most reliable automakers in the industry, offering great value for money. 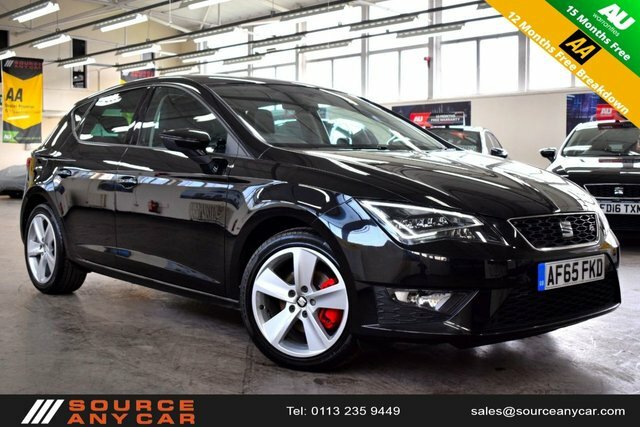 From the new Arona off-roader through to the sporty Leon CUPRA, Seat is a market leader with a keen eye for detail and passion for unrivalled performance on the roads. No matter what the price, style, model or colour, Source Any Car Ltd has a committed team of vehicle experts at hand to support our customers through the process of finding their perfect car, at the best price! Of all the brands in our showroom, Seat is amongst the most reliable! At Source Any Car Ltd, we are proud of our range of used Seat cars for sale, and with over 5 decades? experience in sourcing, buying and selling top-quality second-hand cars in Leeds, we are the best dealer to visit when shopping for your next used Seat car!